Out with the old and in with the new. Celebrating the new year has become synonymous with embracing change, shrugging off past mistakes, and promising to try better with the clean slate that a new page on the calendar brings. So, while 2019 is still young, let’s talk about five (easy to keep) New Year’s resolutions that will improve your Employee Recognition program this year. 1. Embrace the Culture – Why do you recognize? Here at Terryberry, we believe that Employee Recognition goes beyond the awareness that employees like to hear when they’ve done a good job. We know that in order to have the biggest impact on employee morale and to create significant results in productivity and turnover, recognition needs to be more than an obligation. It needs to be in the lifeblood of your organization. So, in 2019, we want to challenge you to take a look at why you recognize employees. What drove you to create a recognition program? Why do you recognize your employees? How do you communicate those reasons to employees? Take a moment to reflect on how your recognition program is viewed across your organization. Has recognition truly become part of your culture? If not, what steps would you need to take to make that happen? Want to learn more about creating a culture of recognition in the workplace? Meet with our team to discuss the changes you’d like to see in your company’s culture, and the tools we can offer to get you there. 2. Commit to the Program – Use the tools already in place. At some point in time, you’ve probably heard the old “give a man a fish, but teach a man to fish” adage. As cliché as it may sound, employee recognition programs work the same way. Think of your recognition program as the fishing pole. It might be the nicest pole money can buy, equipped with the finest fishing line, and an expertly crafted lure that is guaranteed to make the fish bite, but for all of that, it will only work if you actually go fishing. Is your program reaching all the employees you meant it to? Do you use the award levels in your program with the frequency and consistency that was first intended? Are there nomination categories that are used infrequently or neglected all together? If so, what can you do to better recognize behaviors and values in support of your organization’s mission? Providing a consistent experience and expectation for employees lays the groundwork for creating a culture driven program that will grow and thrive with your company. If you’re unsure of how some features of your program are meant to work, or you think your admin or management team could use a refresher course, reach out to your 360 Recognition specialist to discuss setting up some additional training. 3. Look in the Mirror – What’s working? What’s not? What can you change? Sometimes the best way to make effective lasting progress is to stop and take stock of where you are and how you got there. Self-analysis is a crucial element of improvement because it provides the opportunity to gauge internal feedback, how you feel, what you want to change, without the added pressures of external influences. A New Year is an excellent opportunity to do some internal reflection and make a game plan for change. What have been the most successful areas of your program? What made them successful? Where have you identified opportunities for your program to do better? What’s your game plan for creating improvement in those areas? If there are areas where you would like to see growth and improvement in your program, now is as good a time as any to begin working to create the results you want to see. Have you found opportunities for your program to grow? We’re here to help your program succeed. Sit down with our team to create a roadmap for recognition success with the new year. 4. Set Some Goals – Create accountability at every level. The best way to guarantee improvement? Make a plan to succeed, then follow the plan. Once you’ve identified areas where you want to see program improvement, don’t be afraid to set goals that will allow you to make those improvements a reality. 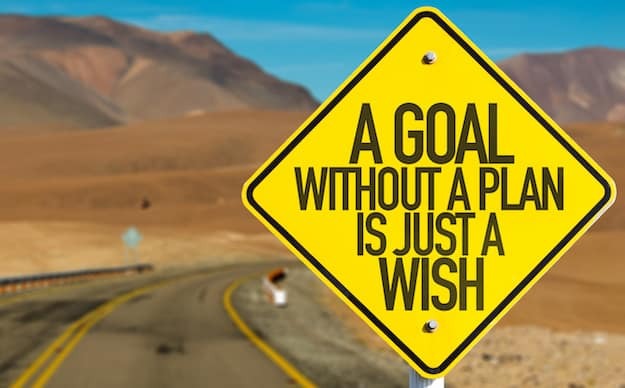 Setting goals not only creates a benchmark for measured improvement, it inspires those involved to believe that those improvements are possible and within their reach. How often do you expect your employees to be recognizing one another? What is the expectation for managers to recognize and reward their employees? How has the leadership team engaged in recognizing their workforce? Have these expectations been clearly communicated? How often are you checking up on those who haven’t managed to participate at the expected level? Don’t go overboard, but do challenge your employees, your managers, and your leaders to work towards a common goal when it comes to growing your recognition culture. Looking for a way to get your managers and leaders off the bench and invested in your program? Talk with our team to discuss tips, tasks, and tools that will keep your leaders (and their employees) engaged. 5. Ask for Help – Terryberry is committed to your success. Not sure what steps to take in order to get the most of your employee recognition program? Don’t panic. We’re here to help. If you want to grow your culture and improve your recognition program this year but don’t know where to start, let us know and set up a quick review of your program. Together we’ll create a New Year’s resolution that’s right for you.